We want to ensure your skin is at it’s best, always. The Facial Bar is the UK’s newest skincare lifestyle. Designed around the concept of “Beauty in a Flash”, The Facial Bar offers express tailored skincare treatments to keep your skin at its best. Introduced by Dr David Jack, The Facial Bar aims to change the way consumers think about and take care of their skin. At The Facial Bar, we believe that great skin requires consistent upkeep which is why our dedicated team of skin-experts will enable you to hit the reset button on your skin. Choose from a series of 30, 45 and 60 minute facials to target your skin concerns head on. From Anti-Ageing to Anti-Acne, our facials will address your concerns and prioritise your skincare using the best in technology and skincare products. Dr. David Jack is a medical doctor and member of the Royal College of Surgeons. 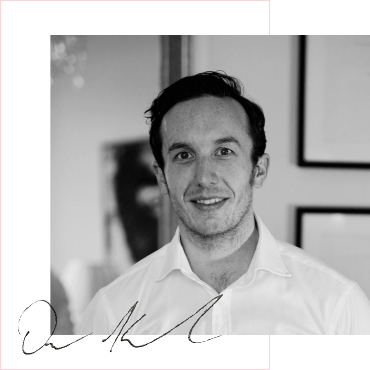 Having trained in surgery, he now runs a busy clinic specialising in anti-ageing in London’s Harley Street and is regularly featured in the UK and international press. The Facial Bar’s therapists have been trained by Dr. Jack on the full spectrum of treatments available and they are all experienced in treating various skin conditions. We offer complimentary skin consultations to all new clients, creating a bespoke skin care plan and educating about skin health.